Click here to download a printable copy of the Pre-Conference Reports Request Letter and click here for Pre-Conference Reports Guidelines. Please help us tell the story of your ministry by sending us your report for the Pre-conference Report Book. According to the Standing Rules of Kentucky Annual Conference, all reports to be included in the Pre-conference Report Book for 2017 shall be in the Kentucky Conference office by March 15, 2017. This includes reports for 2016-2017 (since the last Pre-conference Report book) and proposals for 2017/18. a. Send it to us electronically as soon as it is available, and we will post it on our website. b. The written copy will be distributed in the packet that members receive at Annual Conference. You will need to provide 1,400 copies of your report and come to the conference office in Crestwood on a date to be determined, close to the first week of June, to help collate the packets. Below is a sample of the format we ask you to use and a list of the guidelines. 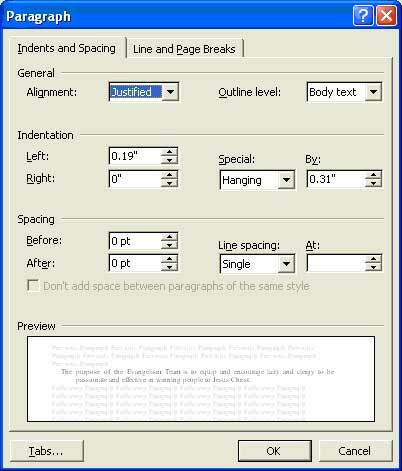 It has been formatted with selected specifications for the margins, font and layout. All reports are limited to ONE PAGE unless they contain policies or action items that require approval. Please speak with your related staff contact if you have any questions. We are asking that you add a detail to your report this year – contact information for the person completing the report. Thank you for adding your email and/or phone number after your name at the top of the report. We reserve the right to edit the reports for clarity and length. Connie Offutt will serve as the editor of the Pre-Conference Report Book this year. Please send your report by email as an attachment in Word to her at acreports@kyumc.org As Connie receives your report, she will send you a confirmation email, if you do not receive an email from her within 5 days, please resubmit your report. A reminder that most reports will go directly to the consent calendar. Rule 10. Legislative Process. To expedite the business of the Annual Conference session, the Primary Task Executive Team, in conjunction with the Conference Secretary, will present in the pre-conference report book a list of reports and items known as the consent calendar. The consent calendar shall be presented during the organizational session and items on the consent calendar shall be considered as adopted by consent of the Annual Conference session, unless they are removed at this time. Individual items may be removed from the consent calendar to be placed on the regular agenda by a motion to remove supported by a second from two voting members of the Annual Conference. When an item has been removed from the consent calendar, it shall be placed on the regular agenda at an appropriate time as determined by the Conference Secretary. Follow these guidelines as you write your report. Keep reports to one page unless you are sharing policy or have an action item. Printing and mail costs continue to rise and we want to be good stewards of our resources, so please adhere to this page limit. Use these as your page margins: Top: 1”, Bottom: 1”, Left: 1.25”, Right: 1.25”. The font is Times New Roman; font size is 11. Indentation at left is 0.2. Use the Special indentation “Hanging” at 0.3”. The Spacing both before and after should be 0 pt. 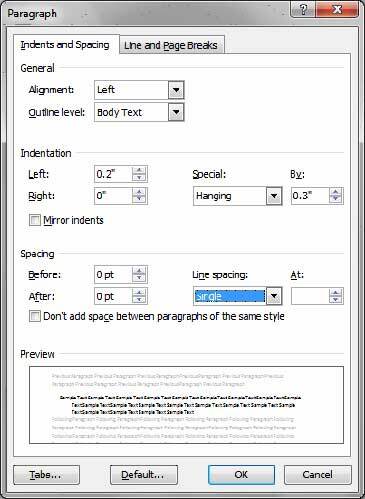 The following show what your Format/Paragraph box should look like (go to the Format menu in Word 1997-2003 or the Paragraph section in Word 2007). Capitalize the word “bishop” when referring to a specific bishop, as in this example. Bishop Davis will preach at our bicentennial celebration. We are happy to have the Bishop joining us for this special occasion. Use lower case for the word “bishop” when referring to the office of bishop, as in this example. The bishop will form a team comprised of two district superintendents and one clergyperson. Capitalize the names of specific committees, boards, and teams, as in this example. The Kentucky Annual Conference Board of Trustees will meet on August 25. Use lower case when referring to such organizations in a general way, as in this example. Each local church will have a board of trustees. At the beginning of each report, state the purpose of your team, committee, or organization. You are invited to share a “glory sighting” – a brief story of God at work in your ministry. 2017, we anticipate a lively discussion as we debate the use of the serial comma. In the past few years we have shortened our conference time by one day so priority will be given to reports with action items, related to the conference priorities and emerging ministries. If you want to request that your team/ministry be given floor time, please send the request to me at jlove@kyumc.org no later than March 15th. This year we are asking for churches and ministries to share video stories reflecting our theme. You can see the guidelines for these videos here. All AV material MUST be to Cathy Bruce, Associate Director of Connectional Ministries for Communication, no later than April 25. We must have this material in time to make sure it will work with the systems being used. If you are a conference institution, please submit your board nominations by April 1 to Connie Offutt at coffutt@kyumc.org. In order for the nominating committee to make sure institutions are in compliance with the Book of Discipline ¶2551, please submit your entire voting board and clearly mark which board members are United Methodist members. We realize that the April deadline is not possible for some institutions, but please be in touch so we will know when to expect the nominations. If you would like to host a meal at Annual Conference, please contact Dawn Sparks, AC Logistics Coordinator, at dawn_sparks@hotmail.com for more information. Meal rooms at the Convention Center are available on a first-come-first-serve basis. A list of special meals will be posted on our website as meals are finalized and information is shared with Dawn. Information about display space will be emailed to you soon and will be posted on our website. Linda Thomas at the Conference Office will be coordinating this ministry. You can reach her at lthomas@kyumc.org. You can also place information in the packet distributed to members at the site of conference. Please have 1,200 copies to our office no later than May 16th, and it would be very helpful if you could provide a volunteer to help assemble the packets. Please contact Connie Offutt at coffutt@kyumc.org for more information. The office set up at conference will receive screen announcements and prepare them each day. Prior to conference please send these to Cathy Bruce at cbruce@kyumc.org. You can also bring them to the office in Meeting Room 5 of the Sloan Convention Center while on site. At the 2011 Annual Conference a new Standing Rule was adopted which states: The Director of Connectional Ministries must post the pre-Conference reports online no later than thirty (30) days prior to start of Annual Conference. A reminder that we no longer mail printed Pre-Conference report books to members; please see below for instructions on accessing the reports. Download from our website and save on your electronic device (iPad, computer, etc.). We anticipate that the report book will be available online and therefore available for shipping (if ordered by one of the methods above) by mid-April.